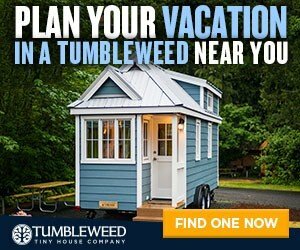 Tumbleweed wants to help your school or non-profit build its very own Tiny House RV! We work with non-profits throughout the year and offer our high quality Tumbleweed Trailer at a discount. Tim Holzhueter, Woods, Construction, & Special Education Teacher at Intermediate School District 287’s West Education Center in Minnetonka, MN. Tim Holzhueter and his students built a Cypress 20 Overlook. They recently sold their tiny house on tinyhouselistings.com to fund their second build slated to start this summer.